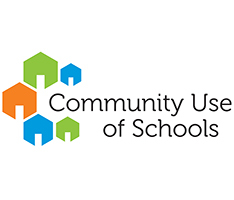 Cooperative and collaborative relationships between school boards and community organizations contribute to a strong, vibrant and sustainable public education system. Hastings and Prince Edward District School Board is inviting public input on a new community planning and partnerships procedure, formerly called Facility Partnerships. Procedure 570: Community Planning and Partnerships, is based on the Ministry of Education Community Planning and Partnerships (CPP) Guideline (pdf), released in March 2015. It links with Board Policy 15: Student Enrolment/School Capacity: Pupil Accommodation Review. Procedure 570: Community Planning and Partnerships, describes the process for establishing facility partnerships with community organizations in new and existing facilities where students are taught, and for effectively sharing planning information with community organizations, including land use and green space/park planning. Members of the public are invited to provide input on the revised procedure, in writing, to the Director’s Office at directors.office@hpedsb.on.ca, by Friday, January 8, 2016. Students at Trenton HS are showing care for the community by hosting the first annual Christmas raffle. They have been decking the halls with baskets of goodies. Raffle ticket sales, which are open to the public, are being held at the high school between 11 a.m. and 12 p.m. during the week of December 14 (Monday to Friday). With more than 30 baskets and silent auction items, there is something for everyone! Thank you to the Student Athletic Association for organizing this fun event. Literacy: help children develop effective literacy skills throughout adolescence. Numeracy: concept of spatial reasoning and skills needed to problem solve. Improving student learning: four main sections in the Health and Physical Education curriculum. Trustee Dwayne Inch was re-elected as chair of the Board and Lucille Kyle was re-elected as vice-chair of the Board at the annual public Board meeting held Monday, December 7, 2015. The chair and vice-chair are elected annually each December. Inch expressed appreciation to fellow Board members for placing their trust in him, once again. “It is an honour to be chosen to lead the Board for another year. Serving students through public education is our core business. Our focus is on fulfilling our vision to prepare and empower all students for the possibilities of today and tomorrow,” remarked Inch. Kyle, upon being elected as vice-chair, remarked on learning together and engaging with students. “It is incredible to be part of such a vibrant learning organization which is so focused on students. Over the past year I have had a huge learning curve and have appreciated the support from other Board members, employees and the community. It is a privilege to serve as vice-chair and, in that role, to continue engaging with the Student Senate,” remarked Kyle. Inch was first elected to the Board in December 2006 and was acclaimed as a school board trustee in the October 2010 and October 2014 municipal elections. He was appointed Board chair in June 2011, and was re-elected to that role in December 2011, 2012, 2013 , 2014 and now in 2015. Kyle was first elected to the Board in the October 2010 municipal elected and was re-elected in October 2014. She was first elected as Board vice-chair in December 2014 and now in 2015. This update provides a summary of the Annual Meeting of Hastings and Prince Edward District School Board held Monday, December 7, 2015 at the Education Centre. It is an unofficial summary of the meeting; official minutes will be approved at the next meeting in January 2016. Student musicians of Muzikwerx will be performing at Trenton High School on December 8 & 9 (Tuesday & Wednesday) 2015, at 7:00 p.m.
Trenton High School will be hosting a pop/rock concert featuring students. TICKETS: $10 for adults, $5 for students (free admission for under age 8), available at the door. Muzikwerx, which consists of a 5-piece student-led rock band paired with a choir (the vocal class) and a horn section, will be performing classic rock songs by Heart, Coldplay, Janis Joplin, The Who, Pat Benetar, The Weekend, The Arkells, Joan Jett, Blondie, Kansas and more. All proceeds will help purchase new instruments for the Music program. The Royal Kindness Ninjas at Queen Victoria School delivered kindness flyers and rocket candies to community businesses and other schools in connection with the HPEDSB Say One Nice Thing campaign. We are excited to share a good news story. This morning, Queen Victoria School was featured on CBC Radio for its Royal Kindness Ninjas campaign. It came about as a class response to the HPEDSB Say One Nice Thing initiative. Grade 4/5 teacher Teresa Mason and her class came up with the concept of Royal Kindness Ninjas, complete with curriculum connections, costumes, flyers, ‘rocket’ candies, kindness acts and a ‘tag, you’re it’ approach. Teresa and student Trey Ruttan chatted with Ontario Morning host Wei Chen this morning. Listen to the audio clip for more. According to teacher Teresa Mason, the Royal Kindness Ninjas campaign has been a worthwhile learning experience for students. “This week has been amazing but the students and I are really excited about what happens next. We are going to have regular tags and a monthly focus of acts of kindness. They are already brainstorming free things they can do, from bagging leaves at the rose garden, to removing snow from windshields of seniors’ apartments,” she added. Keep track of the Royal Kindness Ninjas by following @KindNinjaTag on Twitter. Students at V.P. Carswell Elementary School are excited to host their local Member of Parliament this week. As a result of classroom activities, Neil Ellis, M.P. for Bay of Quinte, will be meeting with students in Grade 5/6 and 7/8. being able to eat candy in school. During the October 2015 federal election, Grade 7/8 students organized and participated in a mock election. They compiled issues, studied the candidates and party leaders, created a voting process, voted, graphed results, then posted results in the hallway. The two classes, along with teachers Nicola Toomath for the Grade 5/6 class and Sarah Morrison for the Grace 7/8 class are thrilled that Mr. Ellis accepted the invitation. V.P. Carswell Elementary is a JK-8 school. Located in a subdivision near Canadian Forces Base Trenton, the school serves approximately 180 students. This update provides a summary of the public meeting of Hastings and Prince Edward District School Board held Monday, November 16, 2015 at York River Public School. It is an unofficial summary of the meeting; official minutes will be approved at a next meeting. Say One Nice Thing, Year 2, is being launched to coincide with Bullying Awareness & Prevention Week. Initially launched at this time last year, the campaign was so successful it will run again. “Say One Nice Thing highlights our commitment to promoting well-being throughout the organization. Although it is being launched during Bullying Awareness & Prevention Week, it’s really meant to run throughout the whole year,” said Mark Fisher, Superintendent of Education. Posters, post cards and stickers branded with Say One Nice Thing were distributed to schools in early November to use as they wish. Last year there were many examples connected to learning and the curriculum. Follow the account @SayOneNiceThing and the hashtag #SayOneNiceThing on Twitter. The Ministry of Education designates the third week of every November as Bullying Awareness & Prevention Week to help promote safer schools and positive learning environments. During Bullying Awareness & Prevention Week, November 16-20, 2015, Ontario students, school staff, families and community partners are encouraged to learn more about bullying and its effect on student learning and well-being. The 2015-2020 Strategic Plan includes a priority about well-being. Say One Nice Thing and Bullying Awareness & Prevention Week support that priority through creating welcoming, inclusive and safe learning environments that optimize students’ potential. Students and parents/guardians are invited to an information session about the International Baccalaureate (IB) and Foundations Programmes at Moira Secondary School. event flyer Students and their parents/guardians are invited to an information session to learn more about the International Baccalaureate (IB) Programme. This programme is hosted at Moira Secondary School. November 10, 2015—The Ministry of Education announced funding to build an addition at Marmora Senior Public School in Marmora. This announcement is in response to a capital priority business case submitted to the Ministry of Education in the summer of 2015. The submission is for the construction of an addition to and renovation of the existing Marmora Senior Public School to create a JK to Grade 8 school to accommodate students from Earl Prentice Public School (presently JK to Grade 3) and Marmora Senior Public School (presently Grade 4 to 8). The addition will include five new classrooms and a new double-size gym. The existing single-size gym will be converted to a learning commons/library. Overall project cost is estimated to be $3.7 million. Ministry of Education funding is expected to be $3.2 million with the additional $500,000 coming from school board building renewal funds. A community information session will be scheduled in the coming months. Additional details will be shared as plans come together. that a key responsibility of a school board is to develop and adopt policies that reflect the board’s purpose and goals, and provide the framework for implementing the strategic plan? 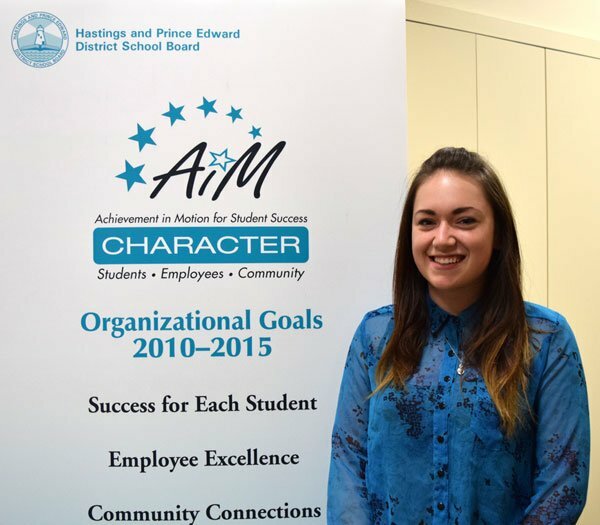 Hastings and Prince Edward District School Board also has two student trustees who represent the interests of the student body at Board meetings. They are not members of the Board and are not entitled to exercise a binding vote although they have the same opportunities for participation at Board meetings. Hastings and Prince Edward District School Board is asking members of the public for their input into the Student Enrolment/School Capacity: Pupil Accommodation Review policy (pdf file). Members of the public are invited to provide suggestions for the revised policy, in writing, to the Director’s Office at directors.office@hpedsb.on.ca, by Friday, November 6, 2015. In March 2015, the Ministry of Education released a new Pupil Accommodation Review Guideline which provides direction to school boards about the pupil accommodation review process. School boards are responsible for establishing and complying with their pupil accommodation review policies to serve their local needs. School boards are required to consult with their communities prior to adopting or amending pupil accommodation policies. Having a well organized and managed vision goes a long way to ensuring success for almost any project. For Cindy Cooper, IB Coordinator and Teacher and MSS, vision has contributed to student success in the International Baccalaureate (IB) Programme at Moira Secondary School (MSS). Results from final IB exams written by MSS IB students in May 2015 were above the world average. In fact, this is a consistent outcome in recent years. In May 2013 MSS IB results were 13% above the world standard. In 2015, the school average in all subjects topped the IB World Schools average by 10%. In individual subjects, MSS IB students led the world average by as much as 26%. Overall, MSS IB students have exceeded the IB World Schools results by an average of 9% over the last three years. Each year, MSS IB students are accepted into their universities and programs of choice. In the last three years, MSS IB graduates have accumulated an annual average of $380,000 in scholarships and financial aid. These awards demonstrate the high regard universities have for the IB Diploma Programme, and the high regard universities have for MSS IB graduates. May 2016 and 32 students will complete IB exams in May 2017. The IB Programme is a rigorous course of study which provides students in their final two years of secondary school with an enriched learning environment and the opportunity to gain several university credits. After studying six subjects intensively over two years, potential graduates complete assessments and write final exams which are marked externally. Each subject can be taken at Higher Level (three semesters of study) or Standard Level (two semesters of study). Subjects studied at Higher Level are equal to a first year university course. Eighteen MSS students will write IB exams in 2016. Congratulations to Centre Hastings Secondary School on being awarded the Dr. Bette M. Stephenson Recognition of Achievement. Centre Hastings SS was recognized, in part, for actions by Grade 9 Math teachers to engage with Grade 7 and 8 teachers from feeder schools for professional learning and planning together. These efforts have led to educators from elementary and secondary schools having a common understanding and use of strategies to improve student learning. The result: smooth transitions for students moving from elementary school into secondary school. Read the EQAO recognition story. According to the Education Quality and Accountability Office (EQAO), each year EQAO collects stories of schools that have been successful in using data to improve student achievement. The remarkable outcomes at these schools show how good information can help dedicated professionals identify areas for improvement and make targeted improvements. EQAO shares these stories so that other schools throughout Ontario can learn about their successful practices. Results for the Grade 9 Assessment of Mathematics, written by students at the end of the semester in which they took Mathematics, indicated that 78% of students in Academic Math and 50% of students in Applied Math met or exceeded provincial standard. Overall results for are based upon both semesters for the 2014-2015 school year. Achieving Level 3 or 4 on the assessment is equated with reaching the provincial standard expected in The Ontario Curriculum. Students who achieve at the provincial standard are well prepared to be successful in the next course, toward graduation. Unlike the Ontario Secondary School Literacy Test (OSSLT), the Grade 9 Assessment of Mathematics is not a graduation requirement. “Research shows that students’ confidence in math and their ability to see real world applications are positively related to achievement in math. We value the work of our caring, dedicated educators to develop numeracy skills in students,” stated Mandy Savery-Whiteway, Director of Education. In recent years, HPEDSB Grade 9 results have mirrored the provincial results. During the last school year, the assessment was not conducted at all Ontario school boards due to labour action. As a result, provincial data is not available. The collective work of educators has resulted in increasing the number of students who reached the provincial standard in Grade 9 compared to when they were in Grade 6. In Academic Math, 16% of students who performed at Level 2 in Grade 6 improved to Level 3 or 4 in Grade 9. In Applied Math, 38% of students who performed at Level 2 in Grade 6 improved to Level 3 or 4 in Grade 9. Data from the provincial assessments is used to understand student learning in Mathematics. Professional learning for educators has focused on responding to student needs and monitoring progress. Teachers regularly talk with students about how to use math in everyday life and in the workplace. Parents are encouraged to continue this conversation at home. The Junior Enrichment Development Initiative (JEDI) at North Hastings High School is a two-year program in which grade 9 and 10 students are challenged to further develop their intellectual abilities by participating in leadership activities, cultural events and volunteer work within the community. Each year, JEDI members take part in enrichment curriculum, several different educational tours, such as to New York City, Washington D.C., Boston, Ottawa and Toronto, and engage with guest speakers who educate them on a variety of interesting subjects. Pictured below: Students in the Junior Enrichment Development Initiative (JEDI) at North Hastings High School take part in an event in Bancroft on October 23, 2015. Students in the Environmental Club at Prince Edward Collegiate Institute are holding an electronics waste fundraiser. This event provides a safe way for community members to dispose of electronics. IMPORTANT NOTE: Please erase hard drives before dropping off your old computers. The Hastings and Prince Edward District School Board and the Ontario Secondary School Teachers’ Federation District 29 are pleased to announce that the parties have reached a tentative settlement on local bargaining issues. “This is welcome news! It was a tremendous effort by our local OSSTF and Board negotiating teams. They worked together through a respectful negotiations process to come to agreement on local issues which are in support of student achievement and well-being,” said Dwayne Inch, Chair of the Board. “We are pleased to have reached a tentative settlement with the Board. After nine months of challenges presented by a new negotiations process, we believe we have achieved a respectful and fair agreement for our members,” said Doug Ferguson, President of OSSTF District 29. Teachers of the Student Success, Careers, and Co-op programs, along with in-school Special Education heads and Guidance counsellors discovered the variety of career opportunities that are available to students who are interested in the skilled trades. After learning about the programs offered by Loyalist College, the job outlook for graduates, and the numeracy involved, the teachers then participated in many hands-on experiences. Teachers signed up for three different workshop sessions including Automotive, Construction, Electrical, Precision Machining, Surveying and Welding. According to organizer and curriculum coordinator Erna Sorensen, this event was a worthwhile experience for educators to become more familiar with the apprenticeship pathway, particularly to see the range of opportunities in the trades for students. This is the third in a series about school board trustees. A different article will be featured each month. DID YOU KNOW . . . that school trustees play a critical role in establishing the board’s vision, mission and priorities? Through their consultative work with their community and working with the senior leadership, trustees develop and approve a multi-year strategic plan. The four priorities in the 2015-2020 Strategic Plan are: Achieving Excellence & Equity, Leadership & Learning, Public Confidence and Well-Being. In Hastings and Prince Edward District School Board, trustees regularly consult with their constituents through a multi-year cycle of a district survey, regional meetings and focus groups. Each year on the third Wednesday of October, Hastings and Prince Edward District School Board recognizes Educational Assistant Day. This year it falls on Wednesday, October 21, 2015. Achieving Excellence & Equity, Learning & Leadership, Public Confidence and Well-Being are priorities in the 2015-2020 Strategic Plan, supported through Growing with Character. Each day, educational assistants interact with students who have a wide range of abilities. Educational assistants demonstrate skill, caring, compassion and patience, and play an important role in supporting student achievement and well-being. They are dedicated professionals who work in diverse roles and settings. Message from Mandy Savery-Whiteway, Director of Education. The third Friday of October is designated as Canadian Library Support Staff Day. This year it is recognized on Friday, October 16. Achieving Excellence & Equity, Learning & Leadership, Public Confidence and Well-Being are priorities in the 2015-2020 Strategic Plan, supported through Growing with Character. In support of these priorities, library technicians at Hastings and Prince Edward District School Board engage with students each day to promote literacy and a love of reading. They connect students and staff with library resources to support student learning, achievement and well-being. Their skills are a vital part of keeping our school libraries and learning commons areas as the literacy hubs of our schools. Please join in recognizing Canadian Library Support Staff Day on Friday, October 16, 2015. Thursday, October 8, 2015, is recognized as Early Childhood Educator Appreciation Day in Ontario. It is a time to recognize the skills and commitment of employees who engage with our youngest students. Achieving Excellence & Equity, Learning & Leadership, Public Confidence and Well-Being are priorities in the 2015-2020 Strategic Plan, supported through Growing with Character. Early childhood educators (ECEs) who work in our classrooms have knowledge of early childhood development, observation and assessment. They bring a focus on age-appropriate program planning that promotes each child’s physical, cognitive, language, emotional, social and creative development and well-being. In our organization, ECEs work in partnership with the classroom teacher, contributing to our students’ social, intellectual, emotional and physical development. Their collective commitment to young children is truly valued at Hastings and Prince Edward District School Board. Please join in celebrating early childhood educators on Thursday, October 8, 2015. Achieving Excellence & Equity, Learning & Leadership, Public Confidence and Well-Being are priorities in the 2015-2020 Strategic Plan, supported through Growing with Character. Every day at Hastings and Prince Edward District School Board, our dedicated and caring teaching staff make a difference in students’ lives. Their professionalism and commitment to student achievement and well-being are valued and appreciated. Nationally, the Canadian Teachers’ Federation promotes World Teachers’ Day through a public awareness campaign that highlights the contributions of the teaching profession. Please join in recognizing World Teachers’ Day on Monday, October 5. Friday, October 2, is recognized as National Custodial Workers’ Day. It is a day to celebrate custodians and the many ways custodians support our schools, contributing to student achievement and well-being. Achieving Excellence & Equity, Learning & Leadership, Public Confidence and Well-Being are priorities in the 2015-2020 Strategic Plan, supported through Growing with Character. Custodians, as important members of our school communities, help to create caring and welcoming environments, and they connect with community members and families on a regular basis. Please join in celebrating National Custodial Workers’ Day on Friday, October 2. On Wednesday, September 30, 2015, all in our school communities are invited to participate in Orange Shirt Day: Every Child Matters. It is to honour people who attended residential schools. Participating indicates our collective spirit of reconciliation and hope for future generations. This update provides a summary of the special public meeting of Hastings and Prince Edward District School Board held Monday, September 28, 2015 at the Education Centre. It is an unofficial summary of the meeting; official minutes will be approved at the next regular meeting in October 2015. Sunday, September 27, 2014 is recognized as Police and Peace Officers’ National Memorial Day. On September 24, 1998, the Government of Canada officially proclaimed the last Sunday of September of every year as Police and Peace Officers’ National Memorial Day. In observance of Police and Peace Officers’ National Memorial Day, flags at the Education Centre will be flown at half-mast from the afternoon of Friday, September 25 to the morning of Monday, September 28, 2015. The Hastings and Prince Edward District School Board serves approximately 15,000 students each day at 39 elementary and eight secondary schools. Supporting student achievement is the goal of close to 1,800 teaching and support staff who, in addition to the contributions of caring volunteers and community partners, share their passion for teaching and learning. 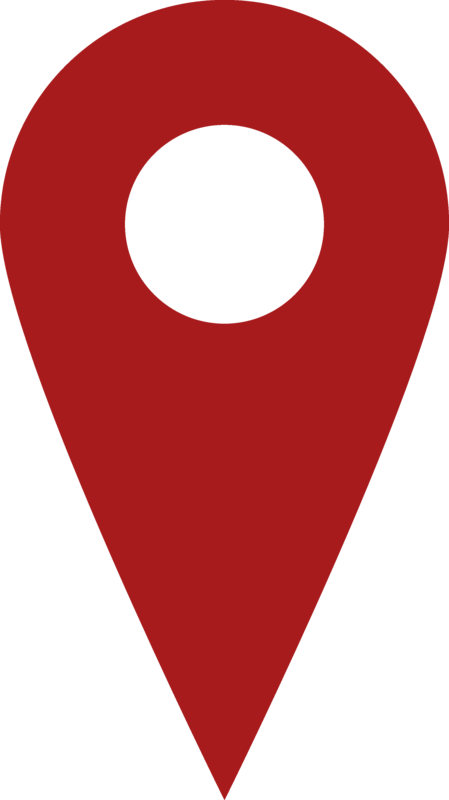 The district covers a wide geographical area of 7,221 square kilometres bordered by Maynooth to the north, Deseronto to the east, Prince Edward County to the south and Quinte West to the west. We encourage you to visit this Web site often to read about our students’ celebrations of success, updates from the Board of Trustees, upcoming events and other newsworthy items. Visit our schools, find out the dates of school holidays or public Board meetings, or read news releases at your leisure. It’s all here for your information. Results for the Ontario Secondary School Literacy Test (OSSLT), written by Grade 10 students last spring, indicate that 96 percent of students in Academic courses were successful, surpassing the provincial average of 93 percent. In addition, students who self-identify as First Nations were also highly successful, achieving 76 percent, well above the provincial average of 59 percent. Overall results indicate that 70% of first-time participating students were successful as compared to the provincial average of 82%. “We continue to be proud of the hard work of our educators who continue to develop the literacy skills students need to be successful on this assessment and in life,” stated Mandy Savery-Whiteway, Director of Education. In order to more fully understand these results, staff will be examining the data as it relates to how students are succeeding in various course types (e.g. Academic, Applied and Locally Developed), by gender and special education needs. A more specific and detailed analysis will allow schools to continue to focus efforts to close gaps in student achievement results. For example, secondary schools offer after school literacy programs for students. “As educators, we continue to prioritize the work ahead of us to know our students, respond to their needs and monitor their progress to meet graduation requirements,” remarked Cathy Portt, Superintendent of Curriculum Services. Grade 10 students in all eight secondary schools wrote the OSSLT. The percentage of eligible students who wrote the test was at an all-time high due to reduced deferral rates. The total number of first-eligible participating students was 1,000. Of those, 252 (or 25 percent) had an Individual Education Plan (IEP). An IEP is a written plan describing the Special Education program and/or services required by the student. The OSSLT, written by students in Grade 10, is administered once per year in the spring. Results represent the percentage of students who were successful in passing the assessment. Students from all English course types (e.g. Academic, Applied and Locally Developed) complete the same test, as it is a graduation requirement. Parents/guardians of students who wrote the OSSLT last spring received individual results for their child in June and are encouraged to review them then contact the school with any questions. Hastings and Prince Edward District School Board holds public Board meetings on the fourth Monday of each month. Meetings begin at 7:00 p.m. Agendas and minutes are posted on the board website at www.HPEschools.ca > About HPEDSB > Board and Committee Meetings. 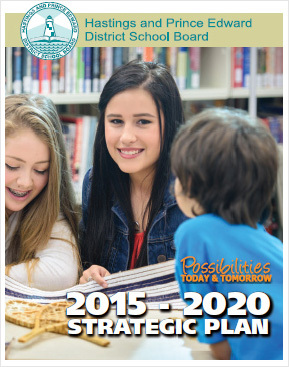 The school board is working through development of a new 5-year strategic plan. The following is proposed content. A designed version will be created once the content is finalized. Students prepared and empowered for the possibilities of today and tomorrow. Increase graduation rates and reduce achievement gaps for students not yet at the provincial standard. Provide programs and services to help each student achieve success. Support all students to be global-minded leaders and learners. Develop the elements of well-being for students and employees collaboratively. Create welcoming, inclusive, safe and accepting learning environments that optimize students’ potential. Build the capacity of employees to deliver positive social and emotional learning experiences. Collaborate as a learning organization to engage all employees in developing their growth plans. Involve students, cultivate student leadership and voice. Implement a renewed succession planning process for school and system leaders. Ensure effective management of all resources (human, financial, environmental, etc.). Be leaders in public education. This is the first in a series of articles about school board trustees. A different article will be featured each month. Trustees are the elected/appointed representatives for a defined area. Hastings and Prince Edward District School Board has 10 trustees. Nine are elected and one is appointed by the Mohawks of the Bay of Quinte. through: accountability, community representation, decision making, communication, advocacy and leadership. Hastings and Prince Edward District School Board also has two student trustees who represent the interests of the student body at meetings of the Board. They are not members of the Board and are not entitled to exercise a binding vote but they have the same opportunities for participation at meetings of the board. We are looking forward to welcoming students and staff back to school on Tuesday, September 8, 2015. Please contact your home school to arrange a convenient time to register your child. Elementary schools will be open during the week of August 31, 2015. Secondary schools will be open for new registrations on specific dates at the end of August (scroll down to the table). Please contact your child’s school to complete an application for transportation. To find out which school your child will attend, visit Tri-Board Student Transportation Services online (triboard.ca) or call 1.866.569.6638. Have your child’s OEN (Ontario Education Number) and birth date available. Please note: If your child is already registered for a school bus for 2015-2016, pick up/drop off locations and times will be available on the Tri-Board website beginning Monday, August 17, 2015. Have your child’s OEN (Ontario Education Number) and birth date handy. Construction of the new Trenton elementary school is a step closer to beginning after a tender for construction was awarded today. Board members approved a $10.3 million contract for Garritano Bros. Ltd. to build the new school, including making modifications to the existing site for parking, bus loading and storm water drainage systems. “With the tender approval today we are on track to start construction in September. We are excited to be at this point of the project,” said Leslie Miller, Superintendent of Business Services. The new school will bring together students from Breadner Elementary School, College Street Public School and Queen Elizabeth Public School. It will be built on the existing site of Queen Elizabeth Public School. Demolition of that school is already underway. Construction will begin as soon as the demolition is finished. “This is the fourth new school being built in HPEDSB. We are bringing what we have learned from those projects to this one. We’re so pleased that Trenton will have a new, state-of-the-art learning facility for students, families and the community. Connecting with families and the community has been an important part of our process and we’re looking forward to that continuing,” Miller added. Ben Bacic, centre, a Grade 11 student at Moira Secondary School, was selected for the Minister’s Student Advisory Council. He is pictured with Mandy Savery-Whiteway, Director of Education and Grant Montgomery, Principal. 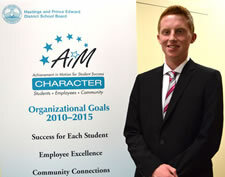 Congratulations to Ben Bacic, Moira Secondary School, who is one of 60 students in the province chosen to be on the Minister of Education’s Student Advisory Council (MSAC). Bacic is going into Grade 12 in September 2015 and is thrilled to be involved. “My experience with student voice initiatives has come in many forms: Speak Up conferences, leadership camps, school board meetings, and research forums, to name a few. Working with other passionate students like myself, and devoted staff, I have been able to identify that I, as a student, and we, as a student population, need a school environment that we are all comfortable and engaged in. Resolving the issues that students find within their school environment has been my duty ever since, and the opportunity that MSAC provides me in expanding my work led me to apply. Now that I have been accepted, I will further support my own school with the skills I develop through MSAC, but will also now be able to support all of my fellow students across Ontario in assuring that they have a comfortable and fun environment to work in! – Ben Bacic, Moira Secondary School. The council meets with the Minister of Education twice during the year to share their ideas. During their term, council members create sub-committees on matters of interest and meet virtually to discuss them. They may be invited to participate in consultations regarding policies or programs that impact on students. MSAC members are invited to attend their Regional Student Forum. Amy Owen, Grade 11, Centennial Secondary School, for the 2014-2015 school year. Lauren Barry, Grade 8, Tweed Elementary School for the 2013-2014 school year. Results from a public survey hosted by Hastings and Prince Edward District School Board indicate satisfaction with school board interactions and the likelihood to recommend an HPEDSB school. The online survey was open to internal and external stakeholders from January 15 – February 8, 2015. The primary objectives were to measure target audience agreement/alignment with the current goals and to determine whether other/new goals should be included in the planning for the next multi-year system plan. Secondary objectives were to evaluate communication preferences and assess stakeholder experience from customer service. 62% of respondents said they are very/somewhat satisfied with their experience interacting with HPEDSB. 64% of respondents said they are likely to recommend a school of Hastings and Prince Edward District School Board as an education provider. Email is the most preferred method of communication by which to receive information from HPEDSB (48%), followed by school websites (39%), the HPEDSB website (39%) and school newsletters (36%). A total of 1,547 respondents completed the survey (a higher number started the survey). Members of the community and parent/guardians accounted for two-thirds of survey respondents (66%). Employees accounted for 15% of respondents. Representatives of community agencies and students accounted for 3% each. ‘Other’ respondents were a mix and included ‘concerned citizens’, former students and parents of future students. The margin of error ranges from +/- 2.5 percentage points at the 95% confidence level (n=1,547) to +/- 1.9 percentage points (n=2,705). The survey instrument was refined and results were analyzed by Quadra Research. The complete report is available online or by calling 613.966.1170 or 1.800.267.4350 to receive a paper copy. Congratulations to Brycen Roy, a Grade 11 student at Trenton High School who recently won top provincial and national prizes for a safety video he created. Byrcen’s video, “Rewind” earned 1st Place at the national contest hosted by the Canadian Centre for Occupational Health and Safety. That prize won him $2,000, with the same amount going to the school. At the provincial level, “Rewind” placed second and won Brycen $1,500 and a matching amount for the school. Student musicians of Muzikwerx will be performing at Trenton High School on Thursday, June 4, 2015, at 7:00 p.m.
Muzikwerx, which consists of a 5-piece student-led rock band paired with a choir (the vocal class) and a horn section, will be performing classic rock songs such as Cold As Ice, Barracuda and Mr. Roboto, as well as some new music by The Black Keys, Lorde and Taylor Swift. Students Mara Whitford (l) and Hailey Proud (r) prepared breakfast for their fellow students. The sounds of growling stomachs echoed through the halls of Bayside Secondary School the evening of Friday, May 29, 2015 and again Saturday morning as over 220 students coped with going without food for 24 hours in order to raise money for community food banks. At the 24 Hours for Hunger opening ceremonies, hosted by student co-chairs Mara Whitford and Hailey Proud, representatives from various community food organizations spoke about the problem of hunger in our community and praised the students for making a difference. As a result of students’ efforts, $23,000 will be shared with food banks in Trenton, Belleville and Stirling, as well as Bayside’s Food for Learning program. Students who participated in the event had lots of fun activities to distract them from their hunger. Bayside’s 24 Hour for Hunger committee members organized a scavenger hunt, dance-a-thons, movie marathons, sports in the gymnasium, nail art, karaoke and more. For those who chose to sleep for at least part of the evening, tent cities were set up in the cafeteria for girls and the English area for boys. The most money was raised by Wolf Pack team members (bottom step) Summer Moore and Alex Roy; (middle step) Paul Beaurivage; (top step) Richard Harris (L) and Cole Goodchild (R). The Wolf Pack team consisting of Summer Moore, Alex Roy, Richard Harris, Cole Goodchild and Paul Beaurivage, earned the designation “Dream Team” for being the team to raise the most money, while Nick Williams raised the most as an individual. Their special status earned them a VIP lounge area and special treats at breakfast. As the smells of breakfast wafted through the halls, participants truly realized what it is like to go without food and they better understood the plight of community members who experience food insecurity. This event was a fabulous success due to the hard work of the amazing 24 Hours for Hunger Committee. Co-chairs Hailey Proud and Mara Whitford spent countless hours organizing donations, events, and grocery needs. They were supported by the following committee members: Alex Boyce, Brenden Clarke, Morgan Dodson, Tirzah Fillmore, Breanna Gracie, Autumn McLellan, Morgan McLellan, Kaylea Pham, Michael Terpstra, and Victoria Waterfall, and Dallin Whitford.